Pad & Quill's full-grain leather is waterproof, fully tanned, and super durable right out of the box. It needs very little attention or care if you use it regularly. However, sometimes a little extra protection goes a long way. Pad & Quill's Leather Balm is a specially formulated emulsion that nourishes, restores, protects, waterproofs, and enriches leather. Our leather conditioning cream is made in the USA from all natural goodness with a suspension of oils and beeswax without any harmful chemical additives. 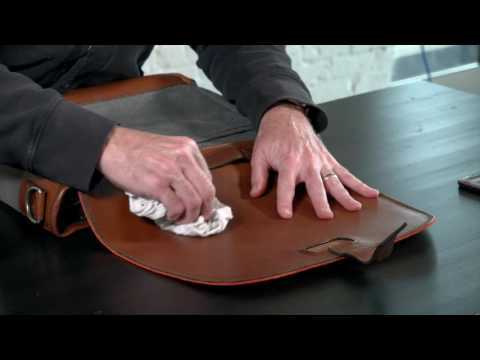 Just apply a thin coat to the leather with a clean soft cloth and work into the leather in small circular motions. Remember, a little goes a long way. Allow it to be absorbed by the leather and dry for 10-15 minutes, then burnish one more time with a soft cloth and you are done. Your leather has just been refreshed, deeply conditioned, and waterproofed even further.